Hi, Jen Petro-Roy! Happy Wednesday! Thank you for dropping by to share the gorgeous cover for P.S. I Miss You. How did you respond/react when you received the email message that contained P.S. I Miss You’s final cover? Jen Petro-Roy: I squealed out loud! I always thought this was just a figure of speech, but I literally opened up the attachment and squealed. I had seen a mock-up of the cover a few weeks before, but the final cover has some changes, specifically the butterflies, that I just adore! Who illustrated and designed the cover? Jen Petro-Roy: Liz Dresner is the in-house designer at Feiwel and Friends. 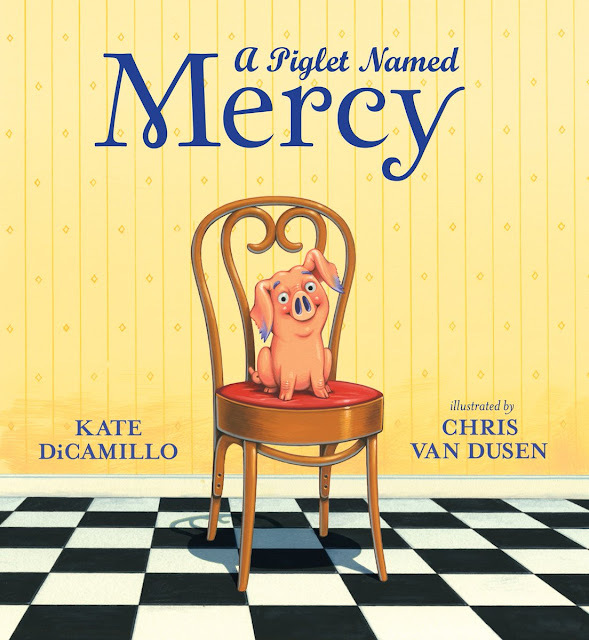 I could not be happier with the design she chose and with the illustrator Alice Wellinger, who created the cover. I love the bright blue, and the little yellow and pink roses perfectly match Evie’s stationery. And the butterflies!! !—I love how they hint at Evie’s transformation throughout the book. This is the jacket for the ARC. Tell us about Evie. How would she describe herself if she could not use more than 140 characters? How do you think you’ll celebrate P.S. 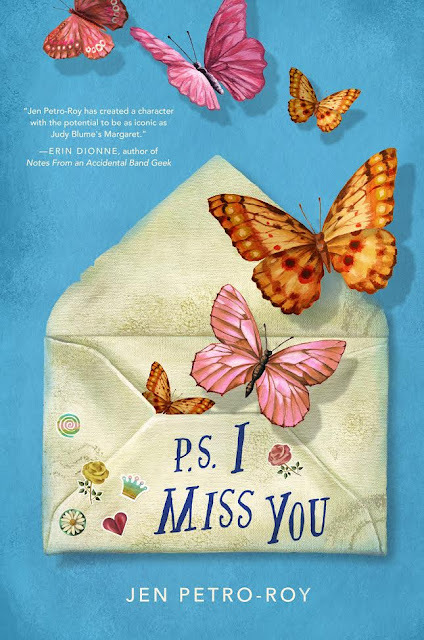 I Miss You’s book birthday on March 6, 2018? Jen Petro-Roy: I'll definitely be too excited to relax, but I’m hoping to make a batch of peanut butter cookies (Evie’s mom’s specialty) and have a dance party to the Beauty and the Beast soundtrack (which is featured in the book). I’ll probably also visit a bookstore to make absolutely sure this isn’t just a dream! School libraries are an escape, a home, and a place for exploration. School librarians—and librarians—are some of the most important resources in our schools. I have such fond memories of mine. Mr. Schu, you should have asked me about my favorite scene to write. It was when Evie and June were trying to figure out what they could combine Skittles with to make the most disgusting food possible. It made me think of a school project I did with my best friend in middle school where we added all kinds of toppings to popcorn. I love pulling from my past experiences to add to my characters’ lives. Thanks for having me!!! Thank you for being here! Congratulations! Pick up a copy of P.S. I Miss You on March 6, 2018.